← Who Needs Preachers When You’ve Got the Bible? I think what is happening in the ex-evangelical community is a conflation between doubt and discovering a deeper, more infinite God than the caricature that our fundy Sunday school teachers indoctrinated us all with. Doubt is seen as the antithesis of the smug patronizing certitude that we never really had a comeback for. But this gives certitude too much credit for accurately exhaustively representing God. Mystery is the opposite of certitude, not doubt, and certitude is not faith but idolatry. Yeah, I’m still processing what we mean by adequate, certain, certitude, mystery, etc. But, I think you’re right as to the overall trend. It’s classic pendulum-swing momentum hooked into a broader societal movement. I see my role as providing a less drastic alternative to the fundamentalist bogeyman we’ve all got in our heads. I really am starting to wonder how many kids who grew up evangelical in the 80’s and 90’s will be atheists by 2015. Yeah, who knows. Another question is, how many kids who grew Christian in all the generations prior, were practically atheists anyways. I think much of this is about being a reactionary with integrity. I will probably never transcend lashing out against my roots but hopefully I can do so with integrity. Interesting post. I understand where Barth is coming from but I do not know if it applies to the doubt that is experienced in high crisis times. I was a chaplain at a major hospital in Texas for 2 years. I was very frustrated and dismayed about how any doubt and wrestling with God was often side tracked because it was thought that we Chrisitans should never doubt. Or maybe that doubt was the opposite of faith. Both I do not see as being exactly true. Some families would tell me they did not want anything “negative” said in the hospital bed room becauase it might hurt the chances of their loved one pulling through. 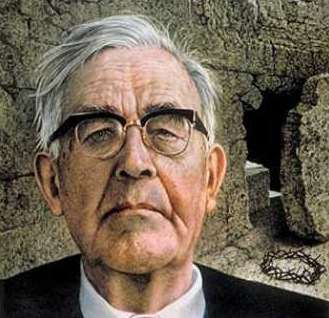 Barth seems more interested in intellectual doubt than the wrestling with God in the hospital room. But anyways I am interested in shame, anxiety, and doubt in the chrisitan life. I think Chrisitanity has a lot to say about them that is counter cultural and not always what one might expect (exactly). In that theology is an activity of the intellect it qualifies for what Paul called knowledge that puffs up. Our head loves to take command of our life when life issues from the heart and human spirit. When head takes command like that, it often shuts down the wisdom of our heart and our spirit’s ability to tune in to God’s Spirit. The outcome of head shutting down heart and spirit is doubt, anxiety, depression, emptiness and loss of meaning. So I say on the contrary, doubt in a product of theology. Too much theology creates doubt and destroys faith if our head takes hold, gets into the driver’s seat and shuts down faith fo the heart. I don’t think it’s really a contrary point. It’s rather one more angle as Barth does touch on intellectual pride as an issue in doubt.